How I can ask initiation from Teacher? Can I ask it without being member of his Dharma Center? Or do I ask from his secretary to request it from him? Can I suggest location for initiation event? I want Minling Dorsem Vajrasattva initiation. In my town. 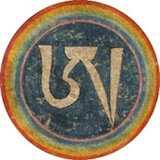 I need Highest Vajrasattva initiation. Just ask and see what they say. Do you have the money needed to organise something like this? It ain't cheap. Which reduces your plan to a fantasy, unless you can find a sponsor. It will be much easier and cheaper for you to attend an already organized Vajrasattva empowerment, even if this involves travelling etc.. I am sure that, with strong aspiration prayers and diligent searching, you will find one ! By the way: In which country do you live ? I've heard that some teachers are happy to give lungs on the phone ... I don't know if that applies for this practice or not. As Marc suggested, there may be other Vajrasattva empowerments and teachers to attend unless you very specifically need this one. So my Teacher once asked H.H. Dilgo Khyentse Rinpoche for a specific wang. At that time, my Teacher was a porr student and only had a few rupees. H.H. said yes, tomorrow at __ o'clock. That evening my Teacher told His brother about the wang (also a Tulku). His brother then told a bunch of other people. So the next morning when it came time for the wang, a bunch of people came. At the end, many of these wealthier Tulkus gave good sized dana, but my Teacher only had a few rupees. Since He was the putative jin-dag (sponsor), He felt quite embarassed about this. Just mentioning this to show that one doesn't always need to be wealthy to request a wang. Of course, my Teacher was living in the same place as H.H. when He asked for this wang. As other respondents have said, if one is inviting a Lama (and probably His entourage) to come from a long distance to give a specific wang that you request, then, yes, this is going to be a financial undertaking. There are the travel expenses, room and board, all the implements and offerings, and then also dana on top of those expenses. Some centers deal with this by charging to get in the door. Totally understandable in the Western context. However, some Tibetan Teachers won't allow this since this not, strictly speaking, how the Dharma is transmitted in Himalayan countries. All part of growing pains as the Dharma moves out into the wider world. For example, when my teacher mentions that there is an auspicious connection to a certain practice, I request it for our sangha. It might be better to wait for an appropriate opportunity to make this request. Finland. Due to my health condition I can't travel, even in the country. Capital (Helsinki) is easiest. So you can ask Tulku Dakpa, but if he will give it to you that I don't know. I have personally requested particular empowerments on two separate occasions both of which were granted by the same Rinpoche who I am a student of. On the first occasion, I was visiting another dharma center where he was teaching. I knew the empowerments of a certain deity was going to be given and I was fortunate to have my interview the day before. I asked if a particular empowerments had been decided on and when I was told no specific empowerment was requested I then made the request for the particular form and Sadhana that I wished to receive. Since my teacher held this lineage and had the nessecary texts with him, he happily agreed. The second occasion was not so easy and required me to make the request in another interview and this had to be set up with the organizers of his own center. After going back and forth, he decided to grant my request as part of a teaching weekend and I was pleased that there were numerous people in attendance who played for the weekend program which helped me a great deal as I had to travel to attend and was a little tight on money at the time. I think my sincerity towards the particular practice helped to make it possible. Point is that in my experience you might never receive something that you never ask for or try to receive somehow. We must have a connection as well as a lot of merit but I think we also need to help plant the causes too sometimes. Where there is a will there is a way. In the meantime keep making aspirations. As Magnus already pointed, Tulku Dagpa is your best option.